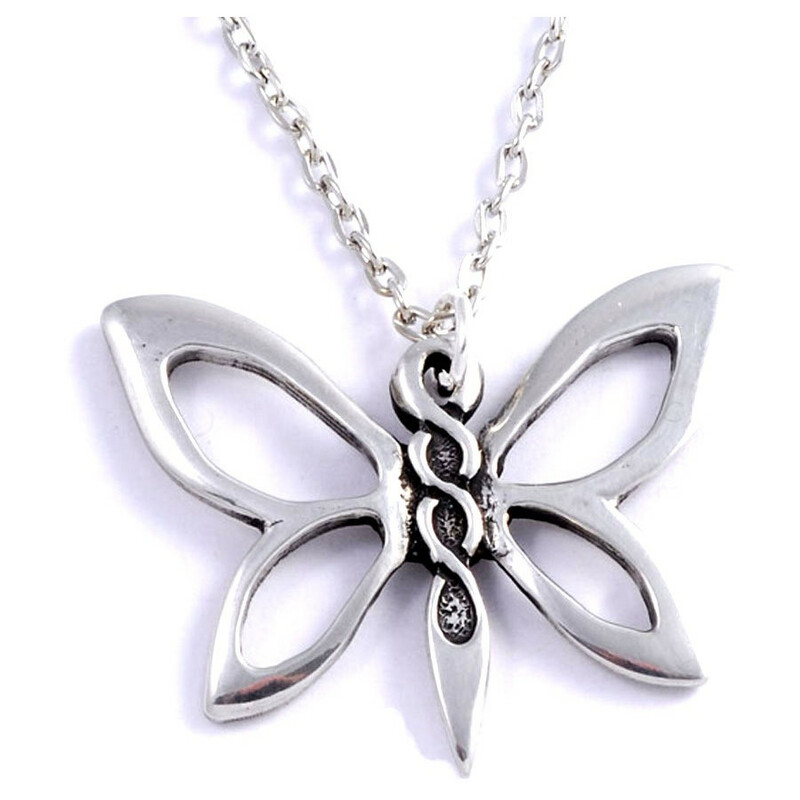 This pretty butterfly tin pendant with interlaced designs will easily dress up your everyday outfit. According to Celtic traditions, spirals and knots embody the continuity of life. This pretty butterfly tin pendant with interlaced designs will easily dress up your everyday outfit. According to Celtic traditions, spirals and knots embody the continuity of life. This pendant is delivered with a rhodium-plated chain in a beautiful blue satin case.